"Last name, first" Please fill this out even though there is a field "Real Name"
if putting middle initial or name put after first name without comma. None of this information in these 3 fields are displayed or available to members! As stated above that the club is dependent on its members sharing of information, submissions etc. 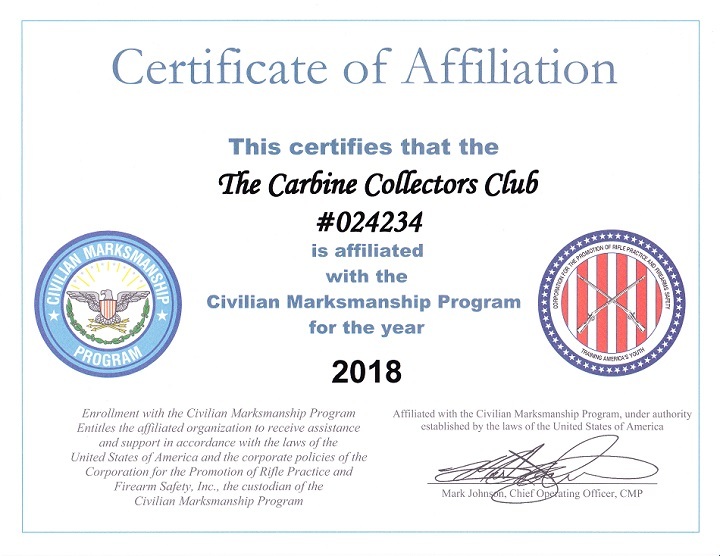 For that we offer CMP affiliation. If you are a lurker that has not posted or submitted anything please consider being involved for the next roster submission. Purchased a complete set of newsletters through the forum. Please note that we barely break even on newsletter sets. The thought process here is that those who purchase a set are committed to learning as much as they can about the US Carbine Cal.30. This is an investment in the future of the club by having individuals who can help answer questions as well as report things not fully covered over the years. Going forward the criterion may change. Please keep sharing and reporting. Question was asked what to put in club affiliation space: Carbine Collectors Club. You can also add the club number to help the CMP folks along. If you did not and submitted do not worry as they know well who we are. They know who we are and check the spreadsheet. If there is a issue please let me know. Eligibility for members who qualify as stated above in this thread. 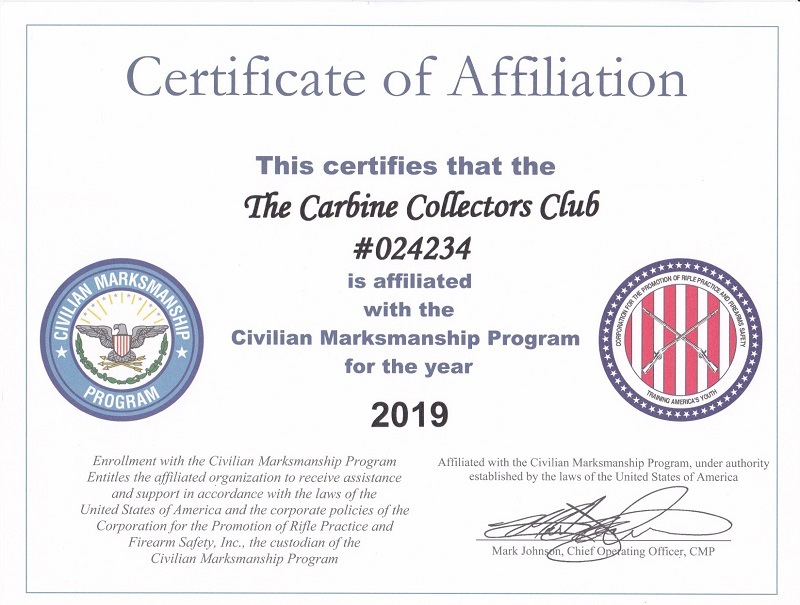 The Carbine Collectors Club has a different relationship with the CMP for purchases. We do not distribute membership cards. When ordering reference a submit a list of qualified members. If you are not sure of your status please PM me for verification before ordering. If you meet this criteria then please post here you updated info. Info updated, hope I did it right, Thanks. The email should have a . between first and last names. I can correct it but after updating, it returns to one string. Double checked info, all up to date. Dave and Jack, good to go. I believe that I have updated correctly, if not, please advise. Thanks. Dan, PM sent to you with zip code number. Also, updated my profile to include this information. I am new to this site. How do I purchase a complete set of newsletters? Also, how do you get points? I have been told that I need to add Admin@uscarbinecal30.com to my mail list, but I don't see any way to do this. Can anyone offer any advice?